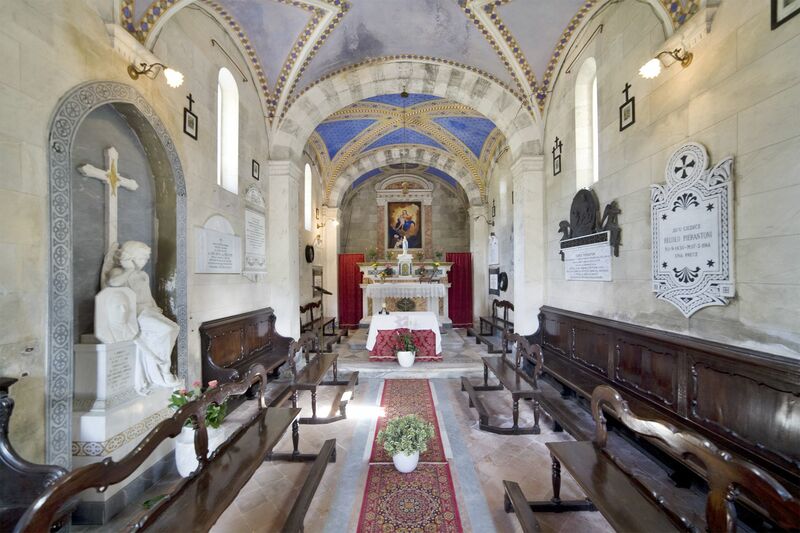 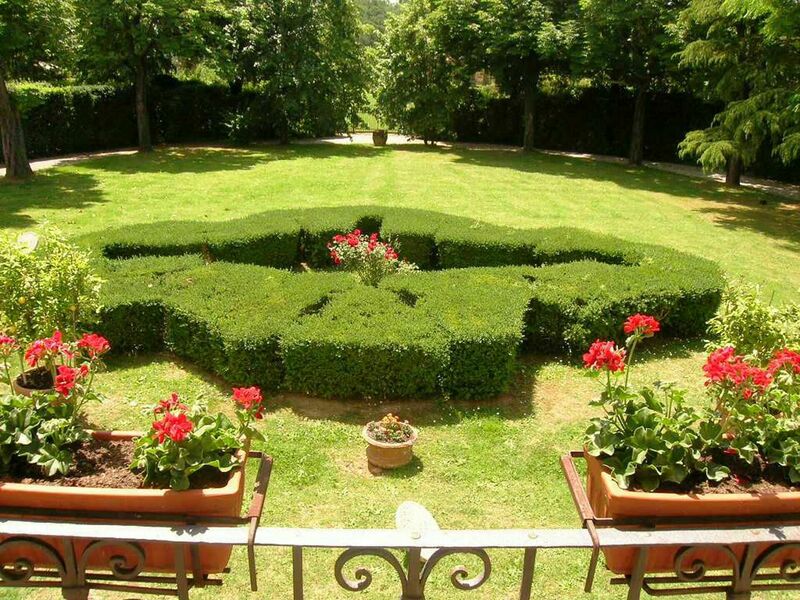 Villa Clara is a typical 18th Century Manor villa with its own small formal park and chapel, at the centre of an estate with farmhouses where the farmers looking after the winery used to live. 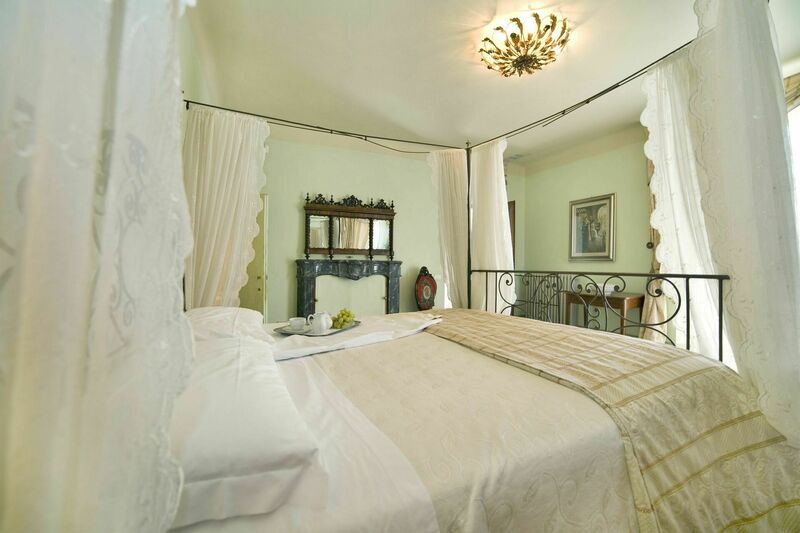 The owners have fully furnished it in an elegant style and have provided modern amenities, such as internet connection and air conditioning in every bedroom (at extra cost). 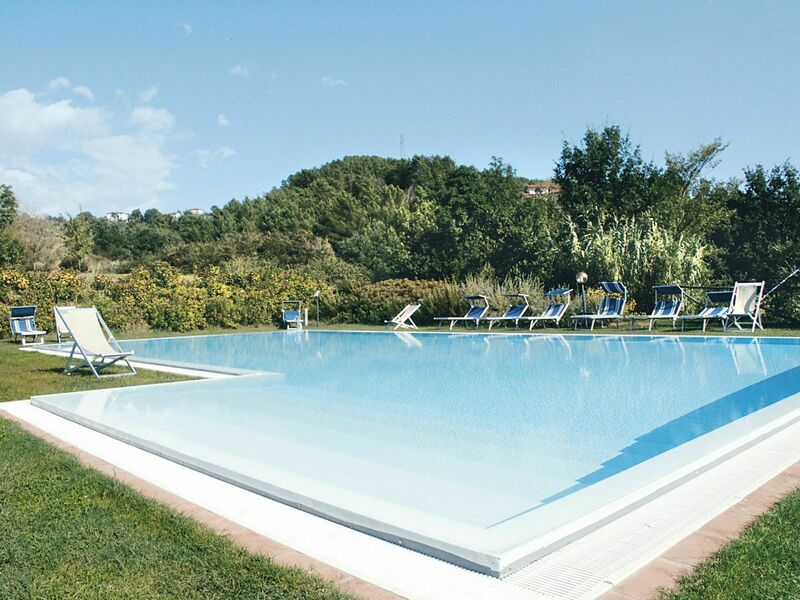 A beautiful, large swimming pool (18x8m) was installed at a short walk from the house. 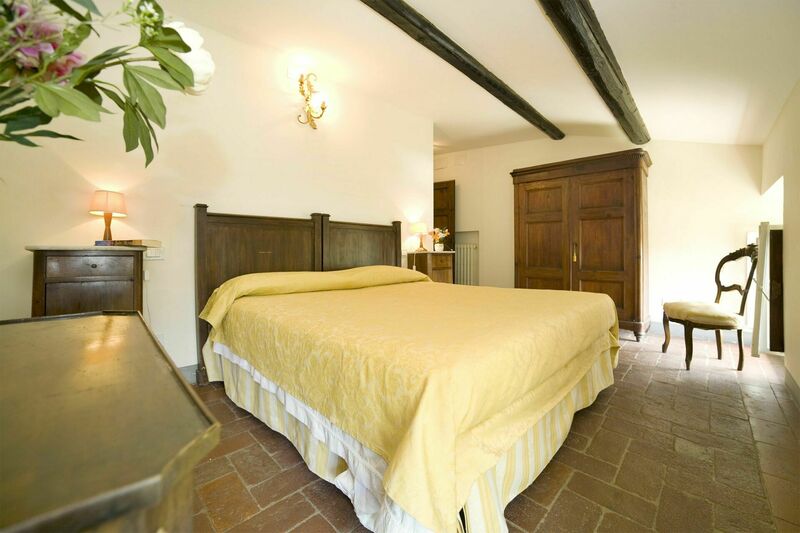 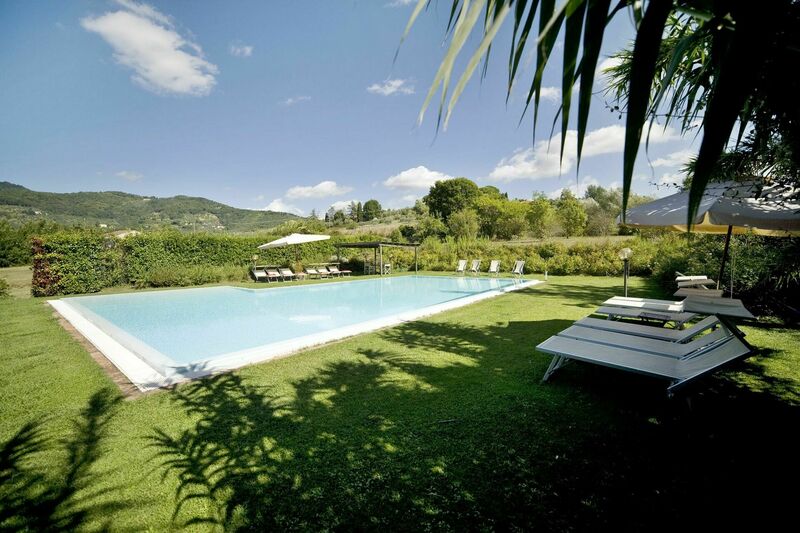 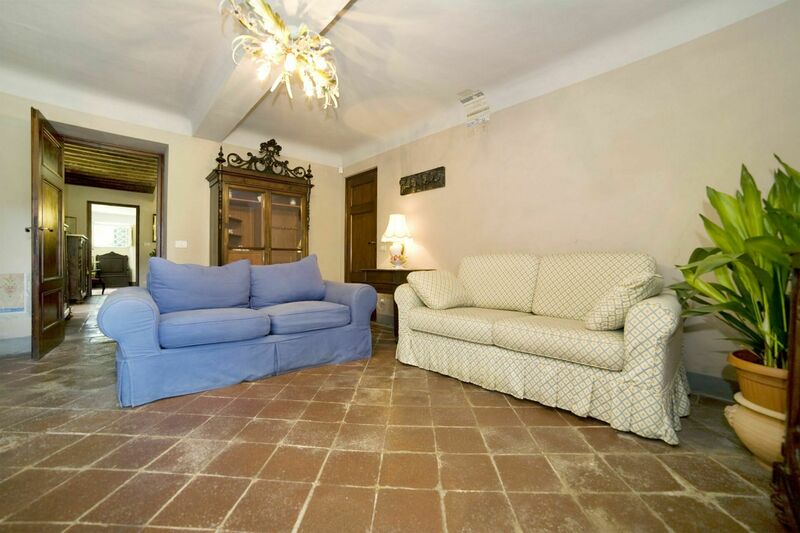 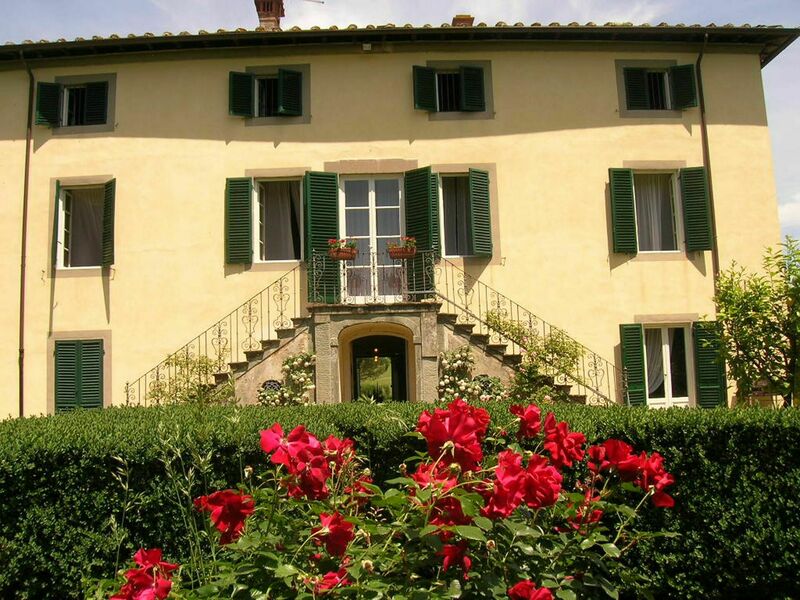 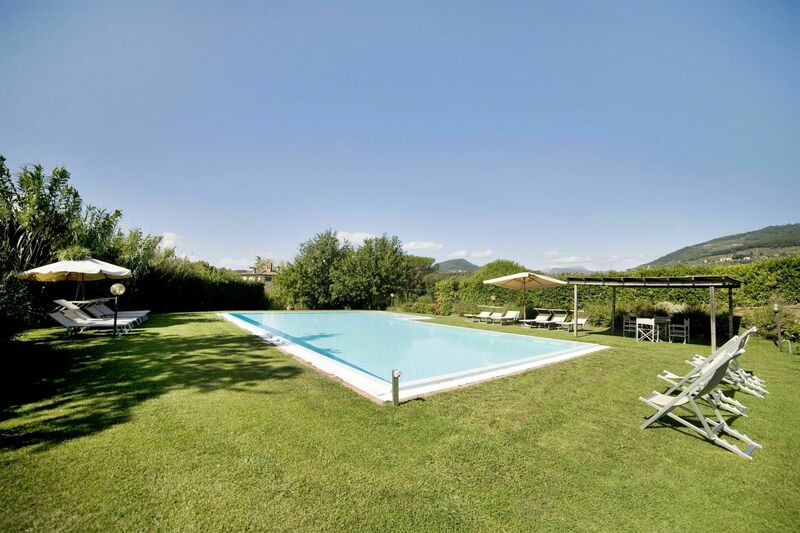 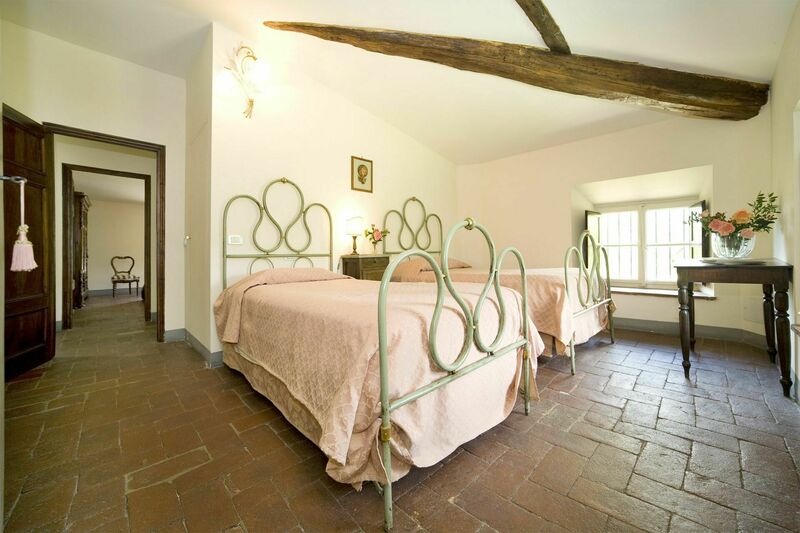 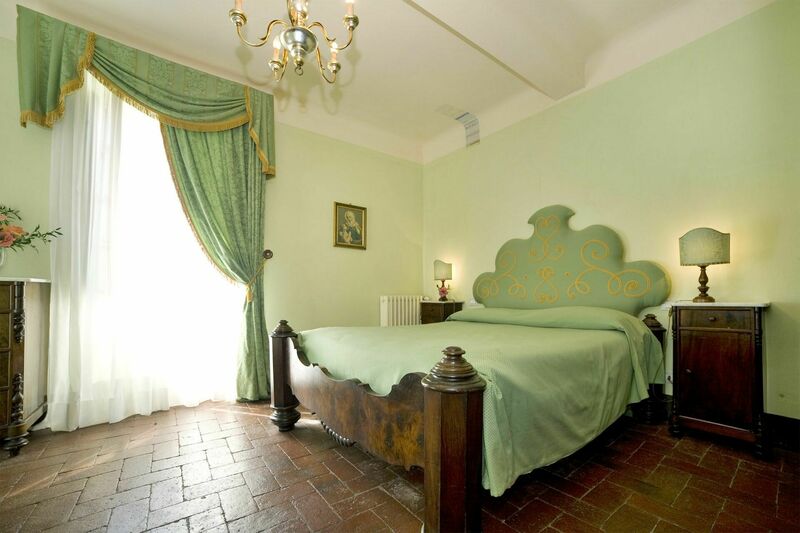 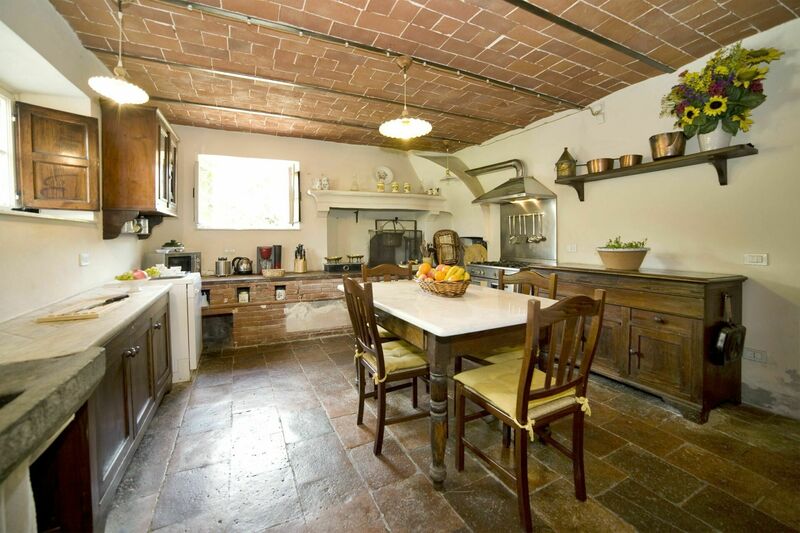 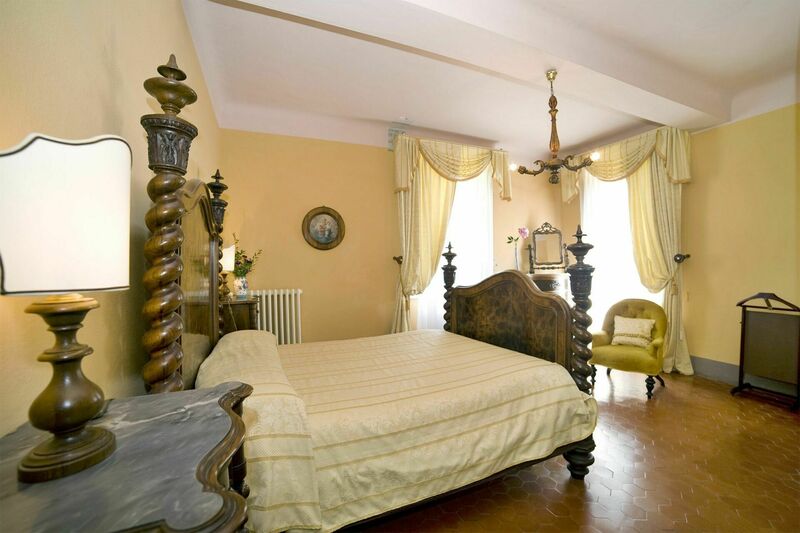 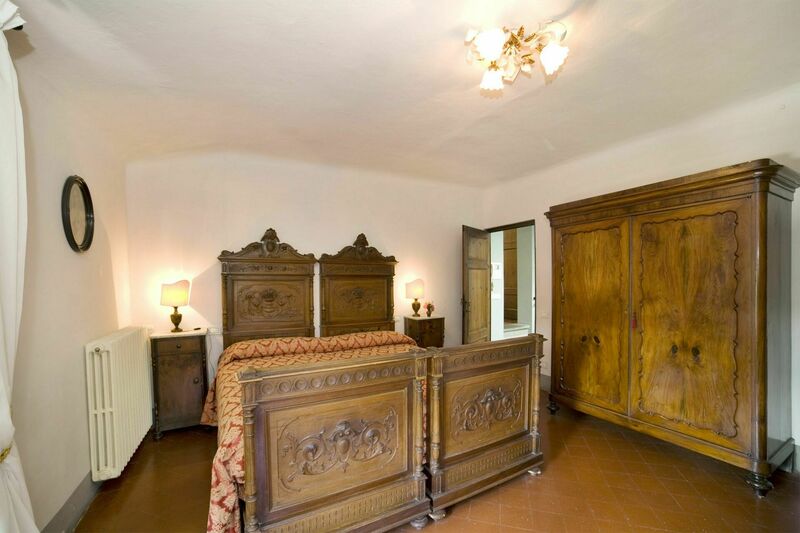 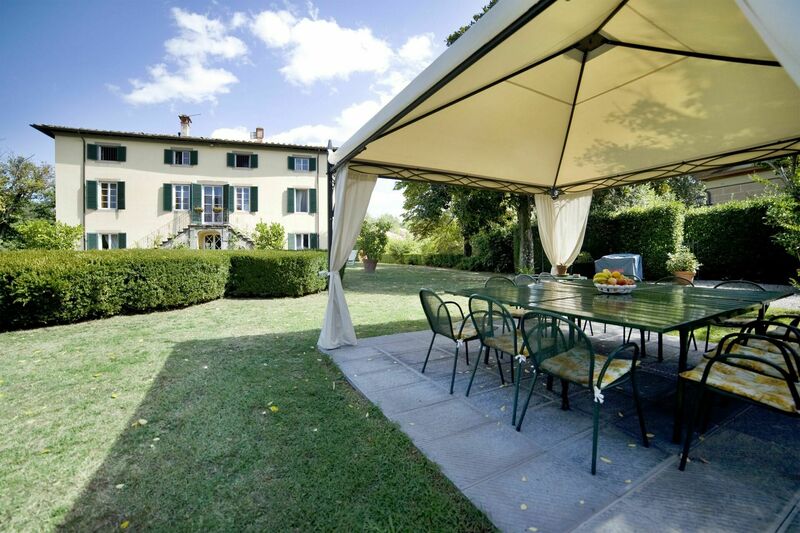 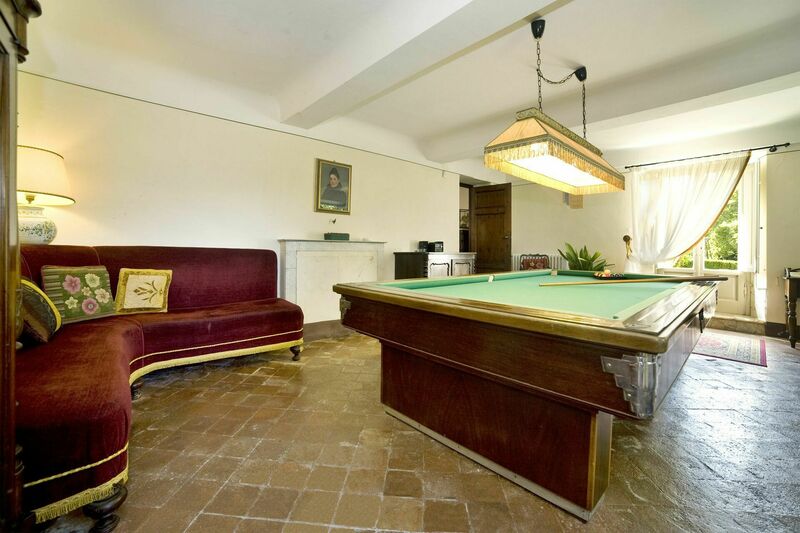 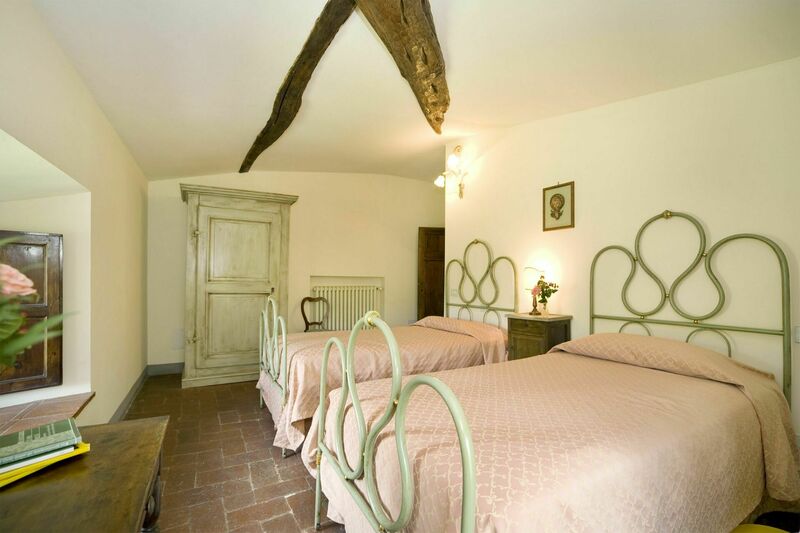 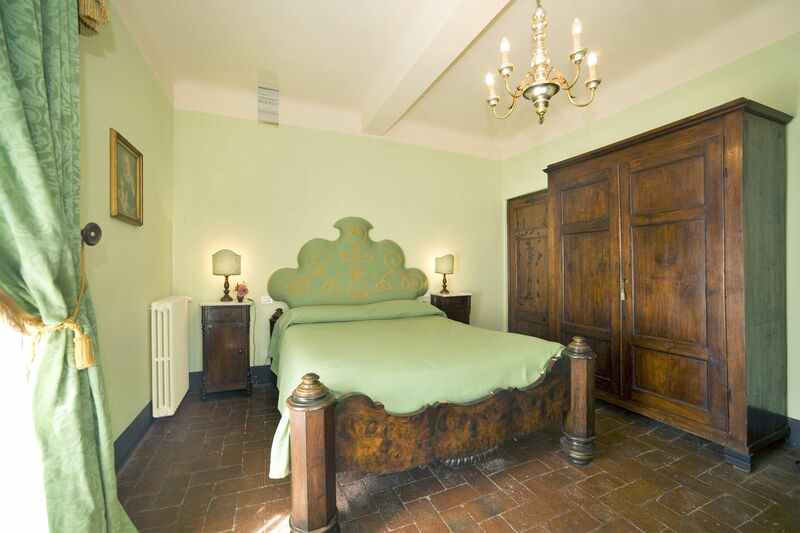 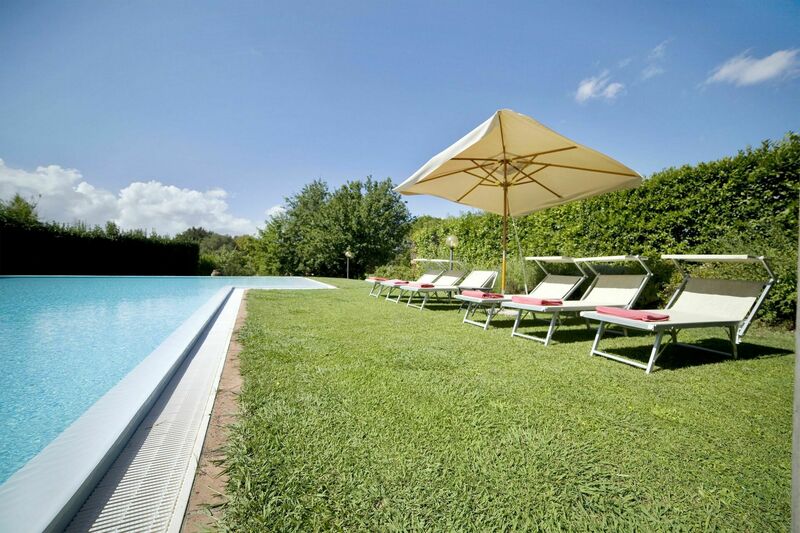 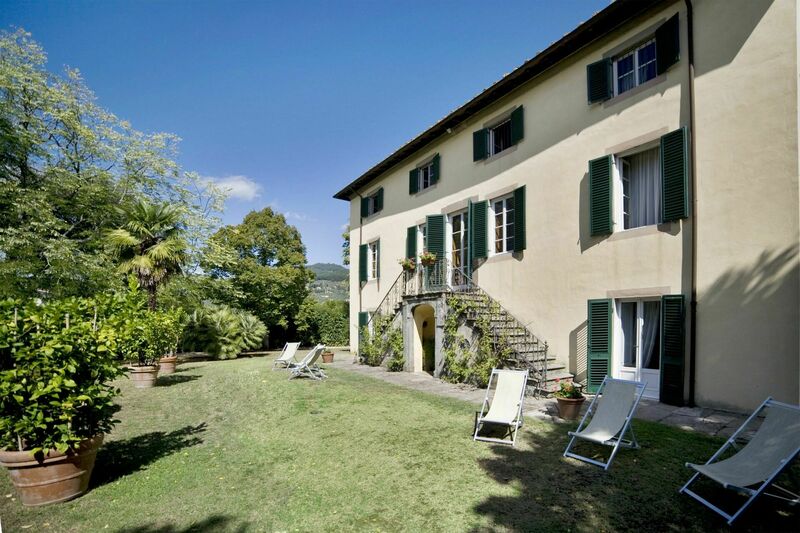 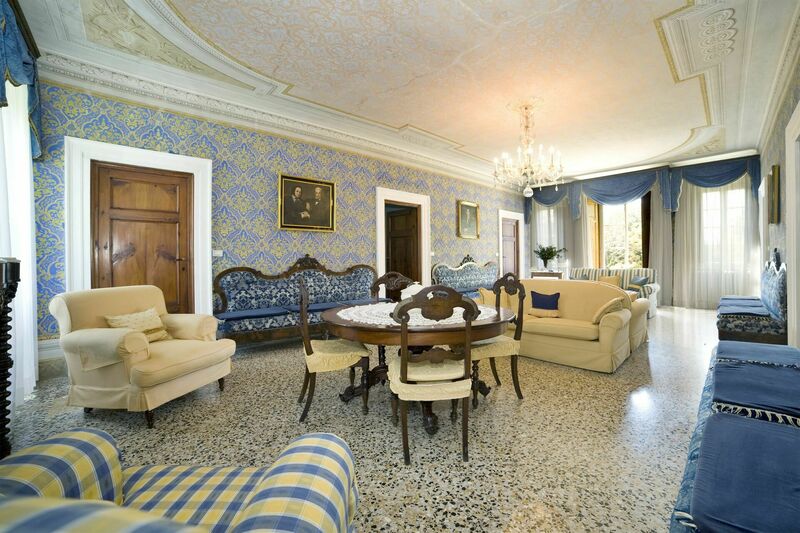 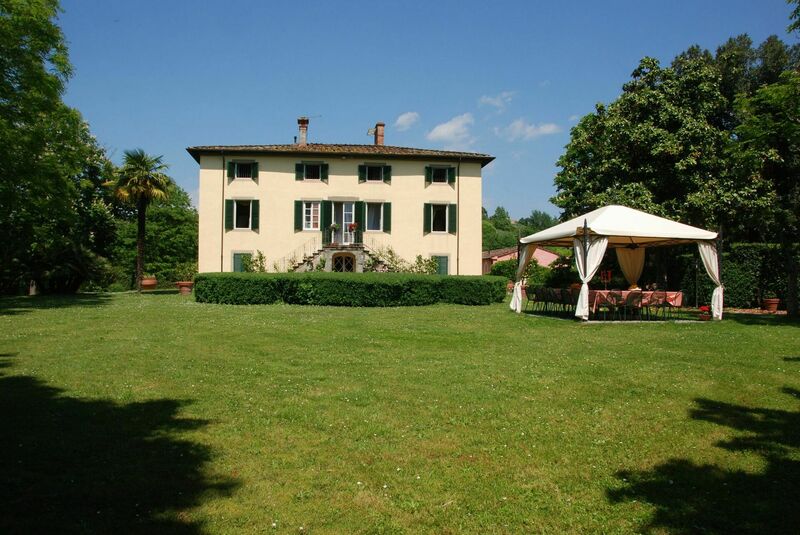 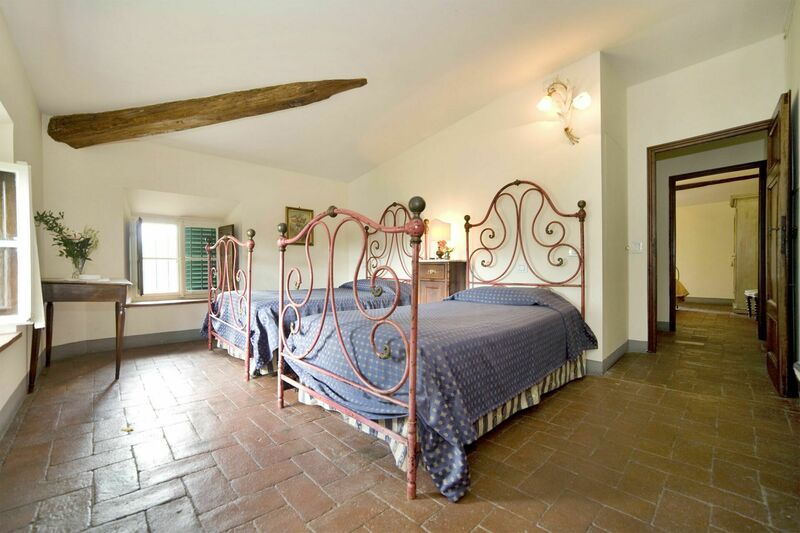 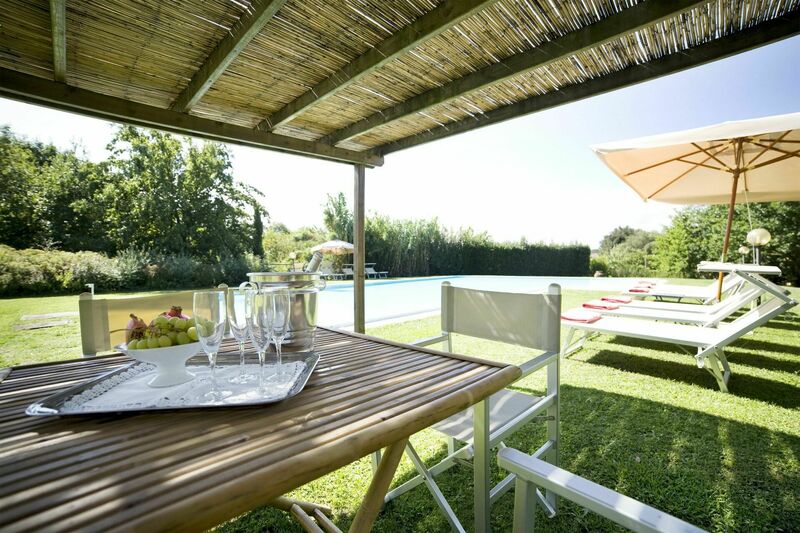 Located at just 4km from Lucca, the villa’s position combines proximity to town with the peace and beauty of the surrounding countryside which is one of the most popular residential areas of the town of Lucca. 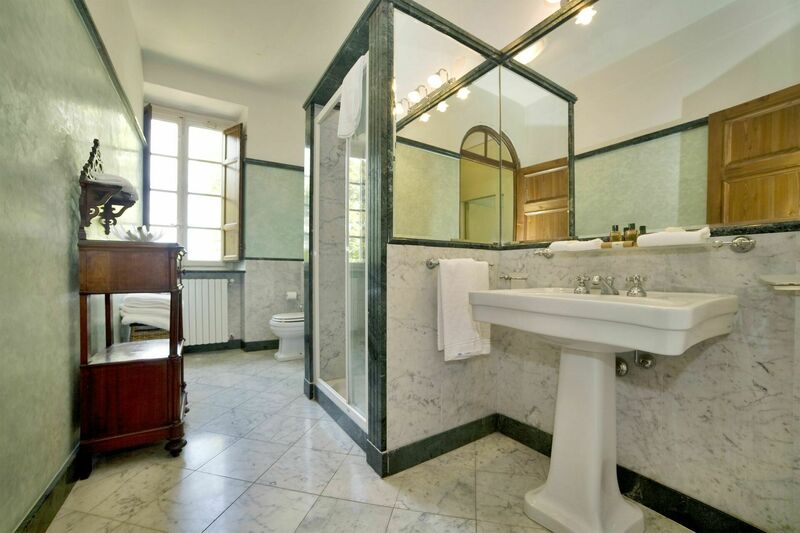 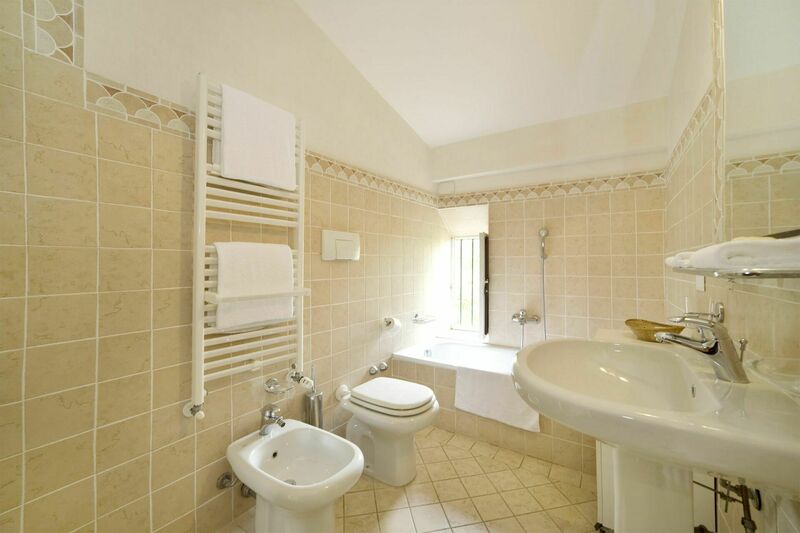 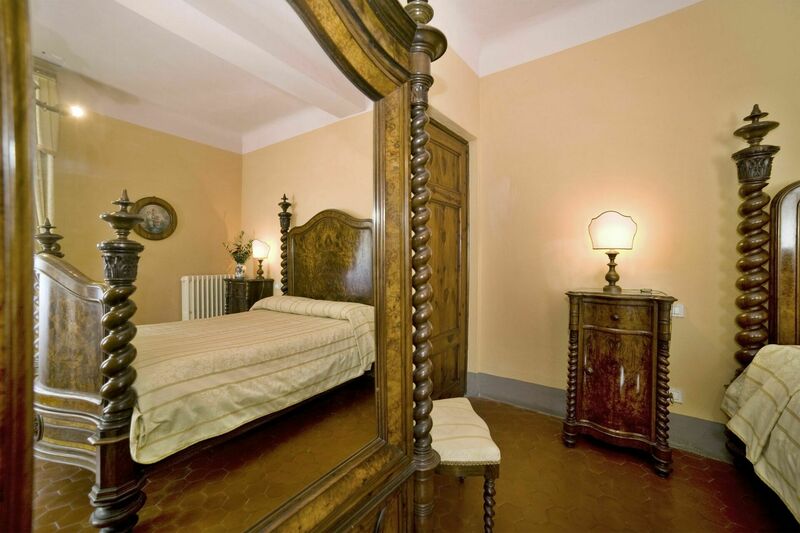 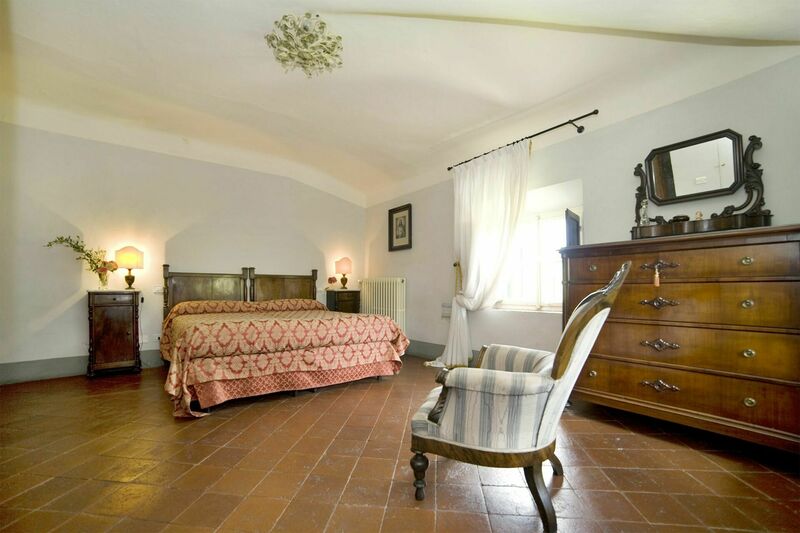 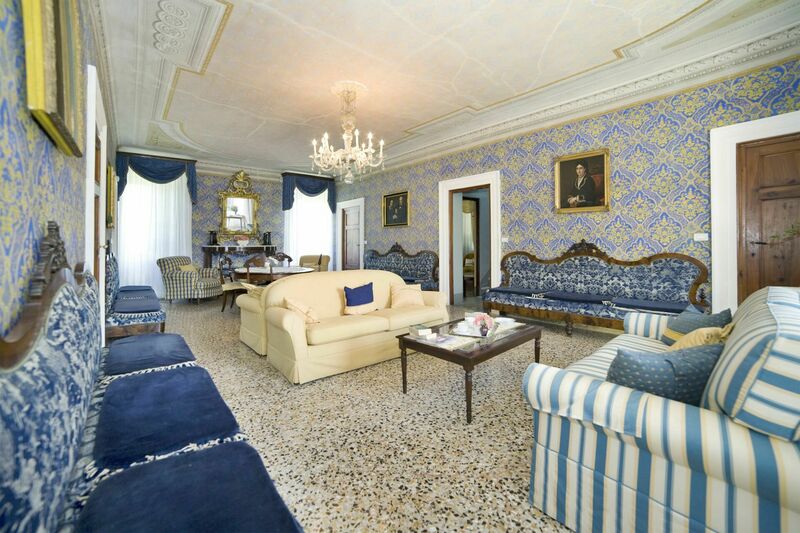 Villa Clara can accommodate groups of up to 20 people, with all bedrooms (except one) having their own bathroom. 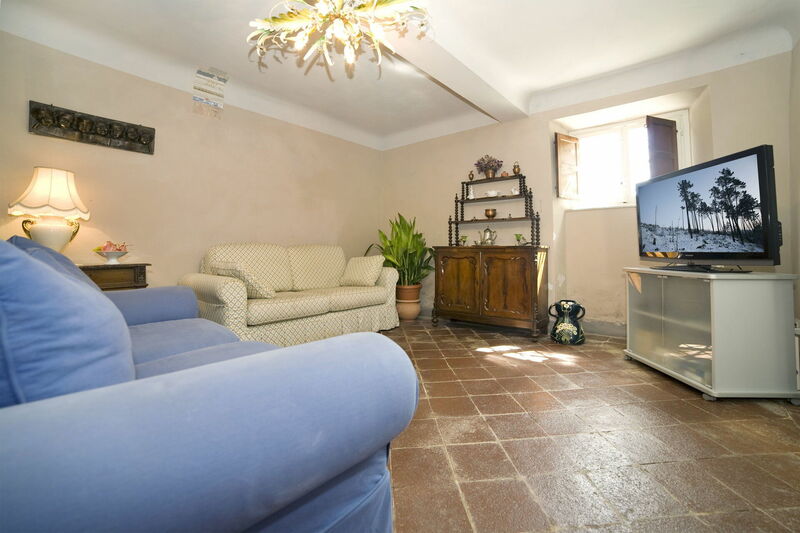 The rental of the property, together with the one of Casa Rosa, located on the same estate, offers the possibility for larger groups, up to 32 guests, to vacation together. 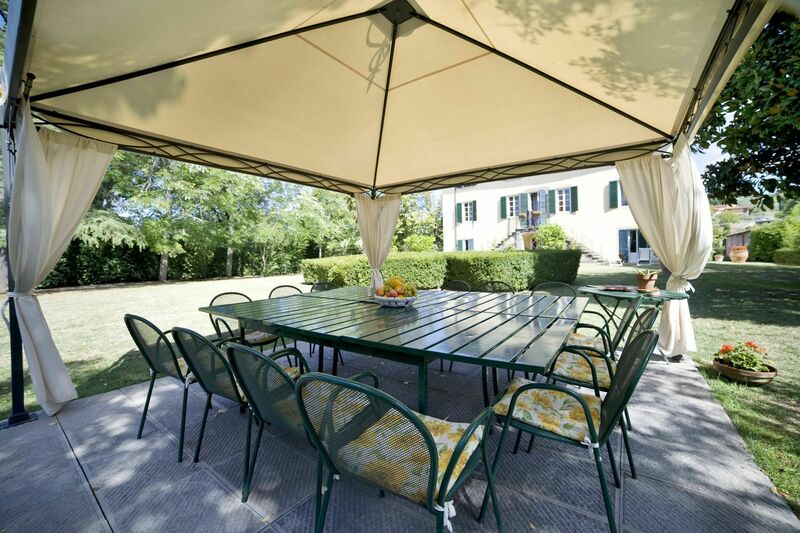 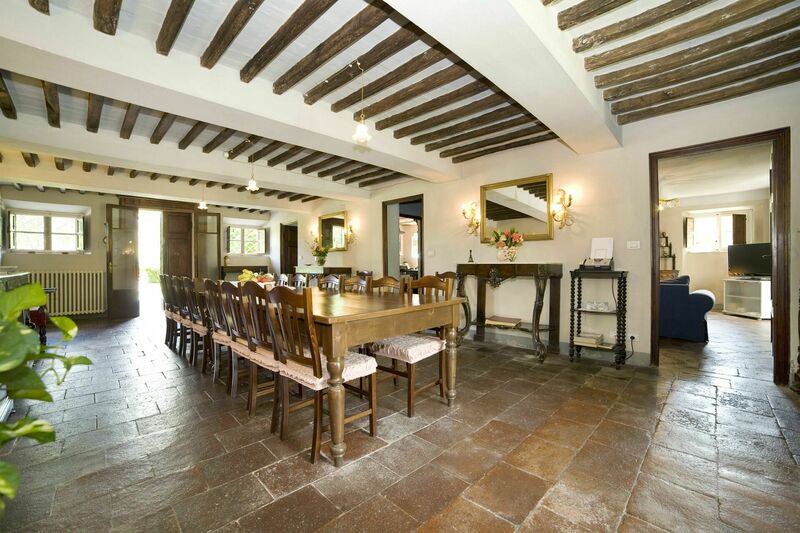 For smaller groups it is also possible to rent only a part of the house, accommodating up to 12 guests. 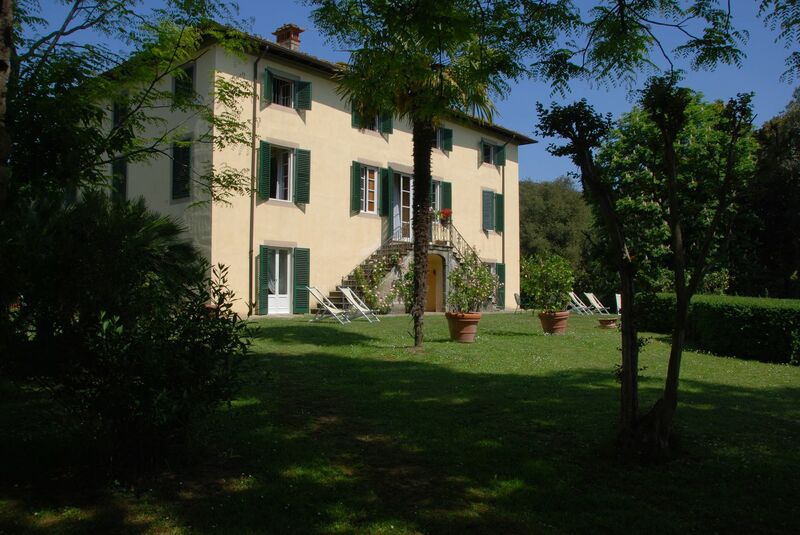 The helpful caretakers live on the estate in a separate apartment and are available to arrange cooking services for their guests. 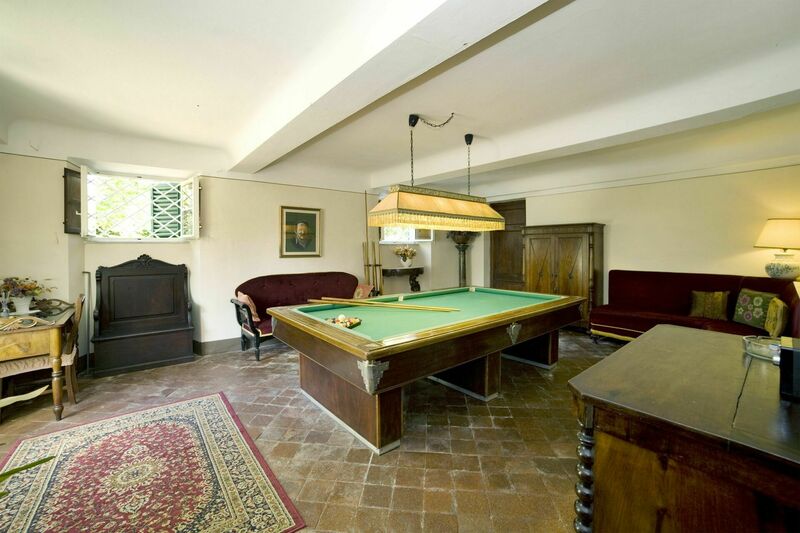 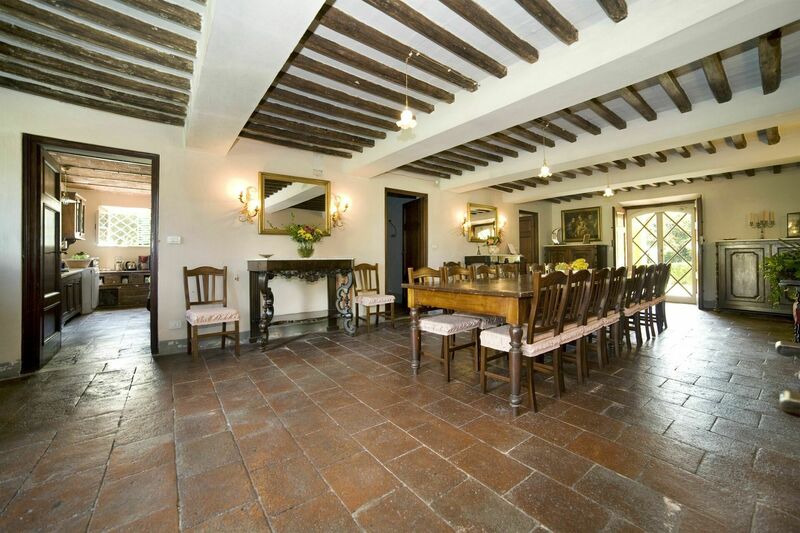 large dining room opening via French windows both onto the front and back garden; traditional Tuscan-style kitchen; billiard room; small sitting room; laundry room; guest bathroom. 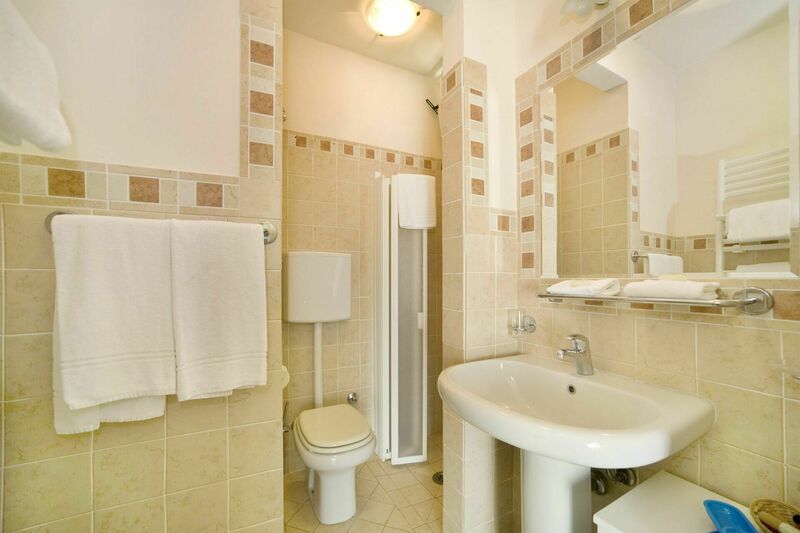 3 double bedrooms with en-suite bathroom (shower); 2 twin bedrooms with en-suite bathroom ( bathtub and separate shower); twin bedroom with en-suite bathroom (shower).